I got a pretty cool knife last Yule from my daughter and her partner, but until now, it's just been hanging on my headboard with my other home defence blades, rather than being put in a Go bag, because it wasn't really up to par. There are also pics on the Harbor Freight product page. Better than nothing, and a great gift for someone new to "prepping", (especially accompanied by this blog post for a beginner level project) but by no means even near adequate for my pack! 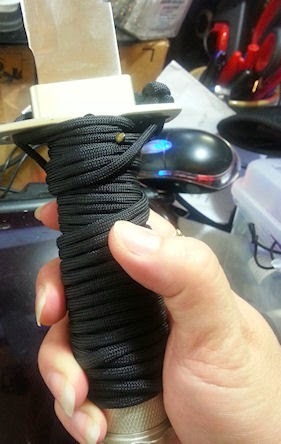 First thing I did was wrap the handle with 12 feet of paracord. 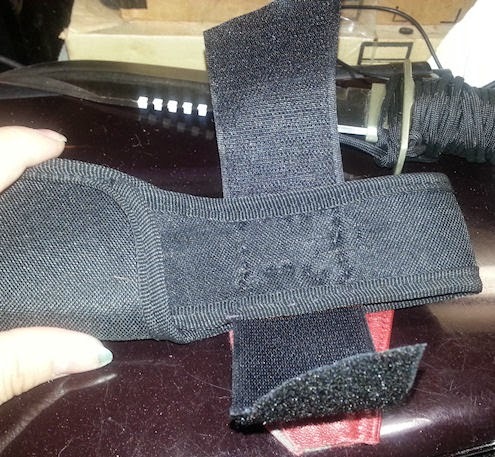 As you can see, the snap no longer will fasten around it. 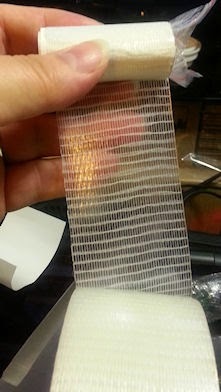 That's not a problem though, as I prefer a heftier fastener that won't break out in the field anyway. 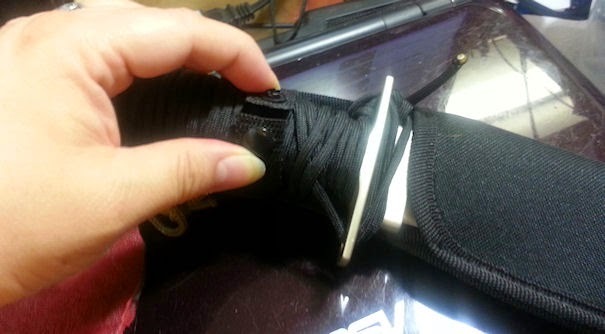 By the way, whenever modding/repairing any kind of gear that is meant to be heavy duty, remember to use heavy duty thread!! 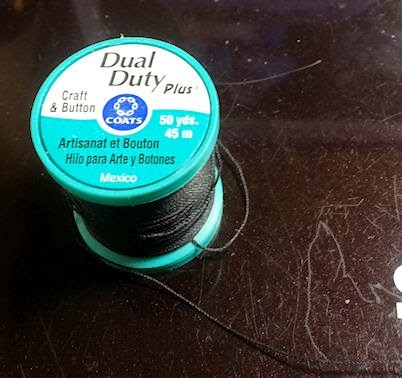 I use this craft & button thread. It's actually stronger than the "outdoor" stuff. In fact, it's the strongest stuff I can find. 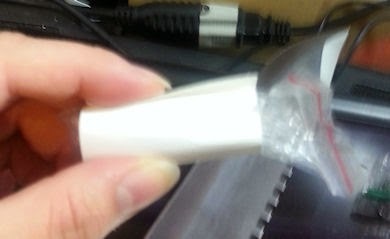 I tried to break it and ended up cutting my fingers on it instead! It's also mostly synthetic, so is better for all kinds of weather. 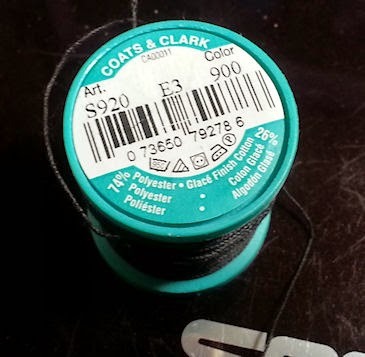 I've used it for all maner of things, and the fabric has rotted away long before the thread even shows wear. 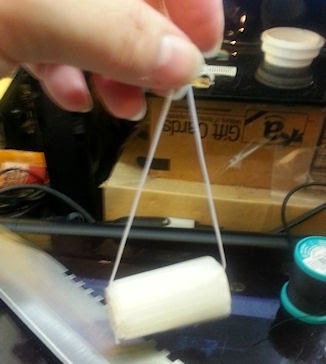 Also great for leather work, and you can use it as fishing line too! 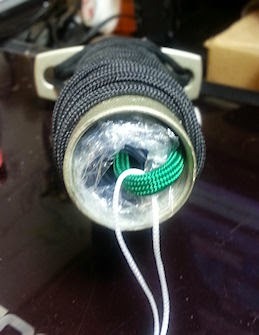 I wound as much F4 tape as would fit into the handle around a piece of paracord and wrapped it in a bit of plastic wrap to keep it from getting stuff stuck to it. 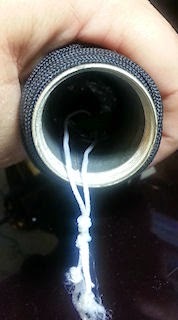 Then I tied a longish loop of nylon cord on the paracord loop, so it's easy to pull out again. 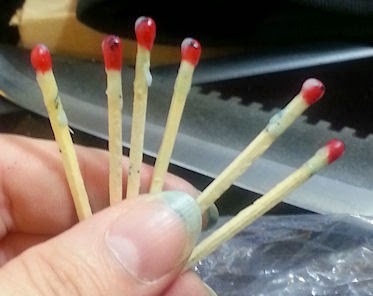 If you recall, the included matches weren't waterproof, and although the inside of the handle is meant to be water tight (and it does appear to be so), I don't like to take chances, so the next step was to fix that minor issue. 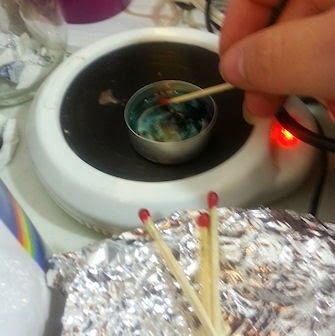 That's as easy as melting some wax and coating the matches - something I learned to do in Girl Scouts back when I was 6 years old! 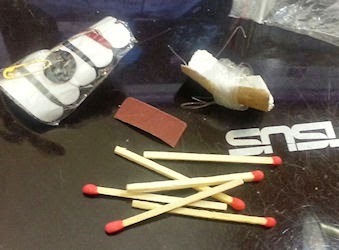 Something's still missing though, that you can ALWAYS find a good use for. Duct tape! 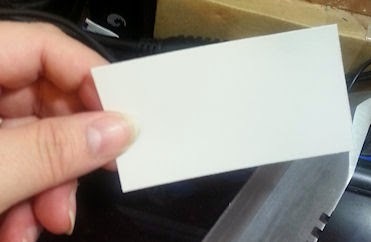 After I stuck the matches, sewing kit, fishing line & hook back in its little baggie, I wrapped a business card blank around the packet and wrapped as much duct tape around that as I could and still fit it back in the knife handle. 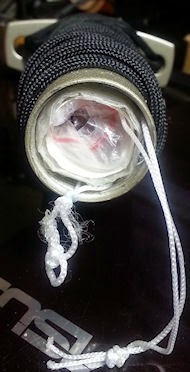 I also tied a loop of nylon cord through my makeshift tape roll, again, to make the bundle easier to remove. 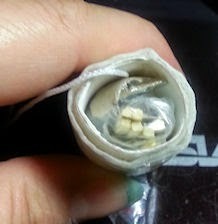 That fit perfectly atop the F4 tape roll. 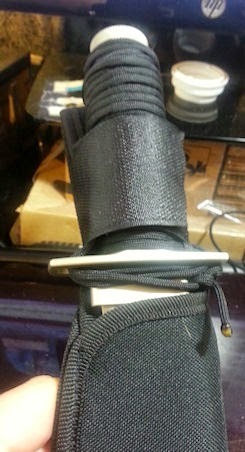 And there you have it, a much improved survival knife, ready to go in my pack and replace some gear that was taking up more space and weight! What is a Gorean Free Woman?